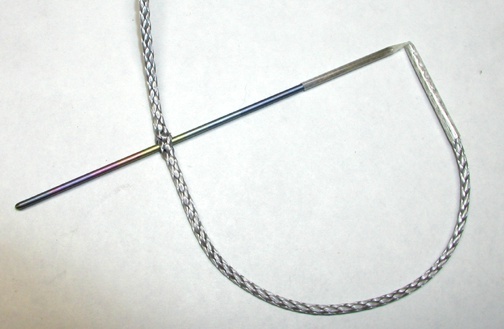 Below, a simple splice is illustrated on 1/8" single braid spectra rope. There are other, more complicated but secure methods of eye splices. 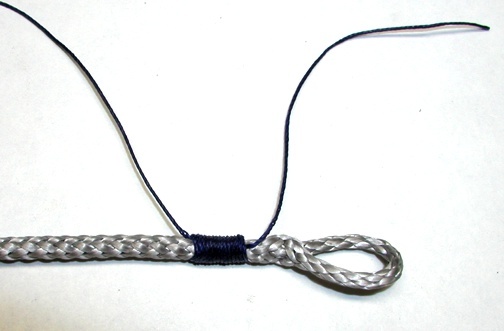 Some will not allow splicing of both ends of the rope as this example does. Whipping of the splice is required to ensure that the splice doesn't work its way out. 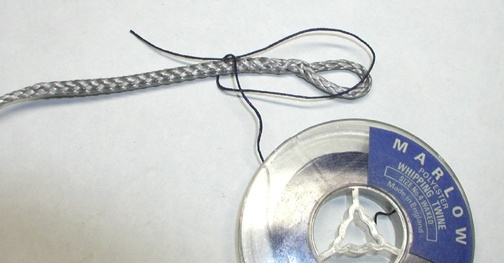 1) lay rope and fid longitudinally at one side of fiber tape. Allow a gap between ends. 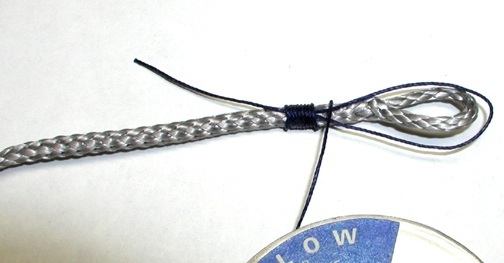 5) open weave of rope on one side, close to where the fid tail has come through. Carefully feed fid down interior of rope for a few inches and then let fid exit center of rope. 11) When sufficient whipping is in place to cover splice, cut the twine free from the spool leaving about 6" of a tail. Feed this new tail through the loop at right. 12) While holding the tail at right, pull the tail on the left until the loop disappears under the whipping coil and is pulled almost all the way through. In photo above the loop has yet to disappear.